Rocky Jim Jr., a 44-year-old Miccosukee Indian, decided to call it quits after 31 years of routinely attempting something that even the guys from Jackass would call crazy. 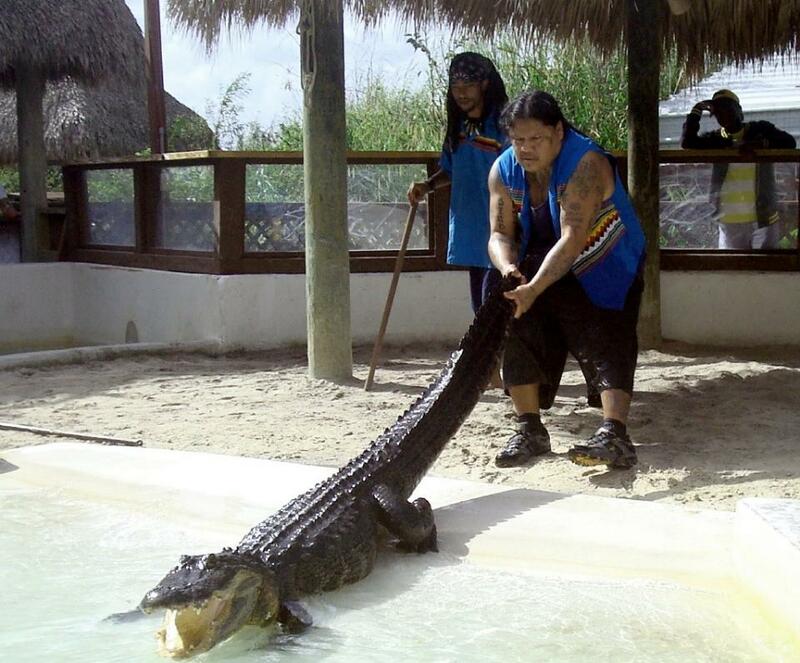 Following a show just before New Year’s, the legendary alligator wrestler decided to finally hang it up after his hand and arm were punctured in seven places. It was like “a door slamming on your hand. With sharp teeth,” he said in an interview following the accident. Jim has been entertaining tourists along the Tamiami Trail in the Florida Everglades since his 30s. During his shows, Jim became known for pulling alligators out of the water with their tails, climbing on their backs, opening their jaws, and even going nose-to-nose with them. His secret? No, not the administration of general anesthesia. Contrary to what sounds like a violent sport, alligator wrestling is considered much more of an art, where every move must be made with delicacy and precision. Case-in-point, when Jim’s arm became locked in the alligator’s mouth after grazing a tooth, he didn’t flinch. Any sort of movement or shaking would cause the gator to thrash, taking with it, his arm. This wasn’t the first time Jim has been bitten, but it was the final one (at least publicly). Though his 13-year-old son is learning how to catch baby alligators, no one in the 600-person tribe remains in line to take Jim’s place. Unless, of course, Joe Dirt happens to have some Miccosukee blood in him.